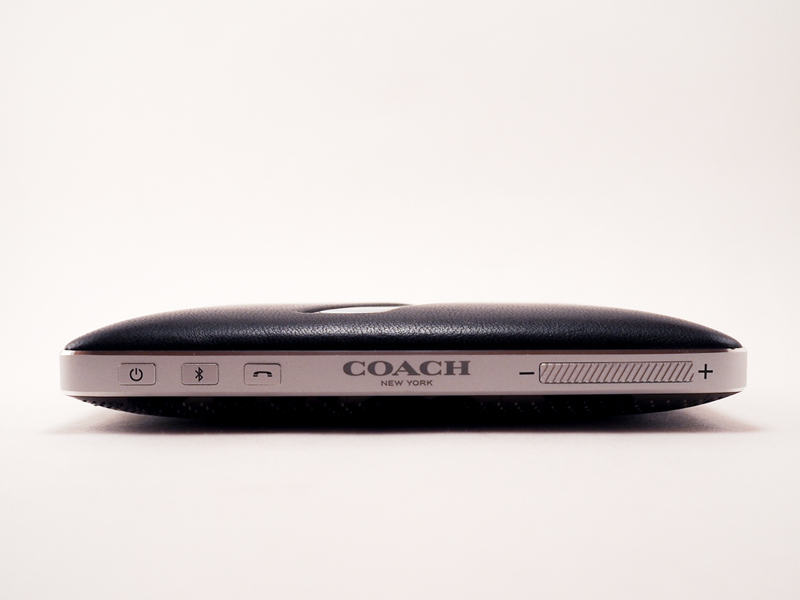 While I’ve reviewed so many portable Bluetooth speakers on here, how many of them have the name COACH attached to them? 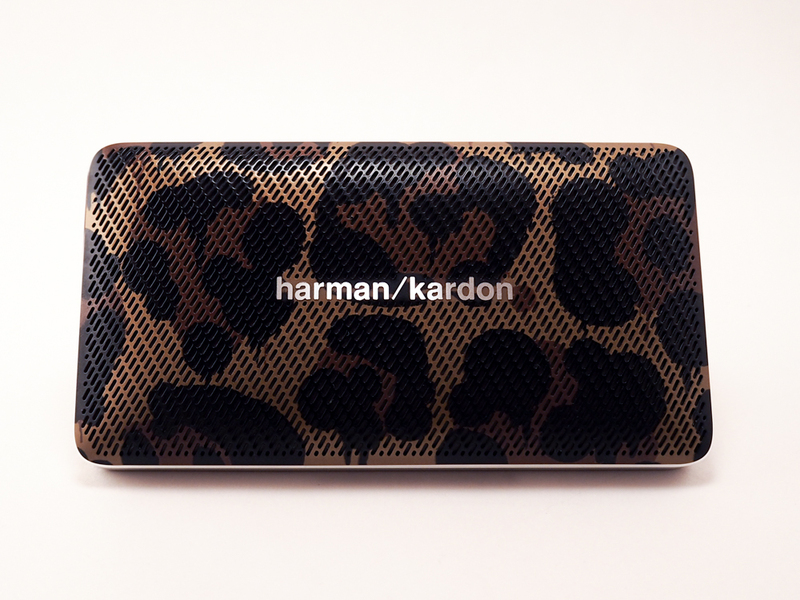 The limited edition Harman Kardon Esquire Mini COACH Edition is one of the most luxurious portable speakers I’ve ever used that not only looks great, but also sounds great for such a slim design. This limited edition speaker is based off the regular Harman Kardon Esquire Mini except that features an exclusive COACH designed face as well as the recognizable COACH branding on the rear and along the edge of the speaker. 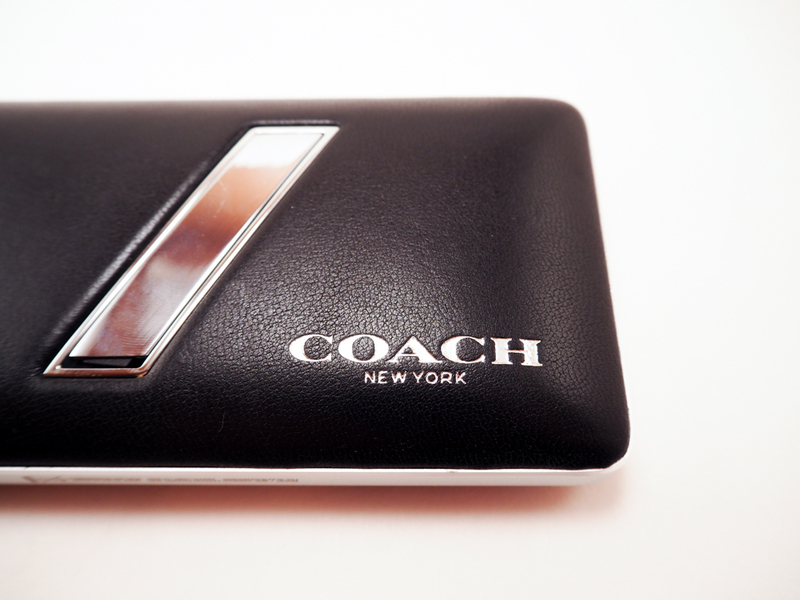 And with anything COACH, it even features a leather finish on the rear to complete the look. 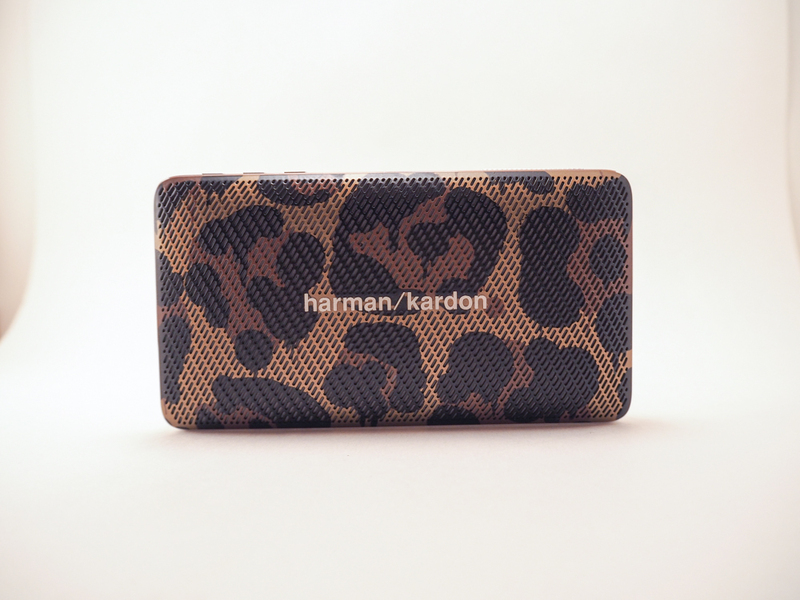 To top off its high end design, the Harman Kardon Esquire Mini COACH Edition features a unibody design that gives the speaker a really nice solid feel. In terms of sizing, its height and width are similar to that of an iPhone 6/6s or similar phone with a thickness around 24mm. This makes it one of the thinner portable speakers I’ve used that actually fits into my back pocket, if I wanted to carry it around with me like that. So how does this thing sound? Well, you might think that the thin size would affect the way it sounds, but it really doesn’t. 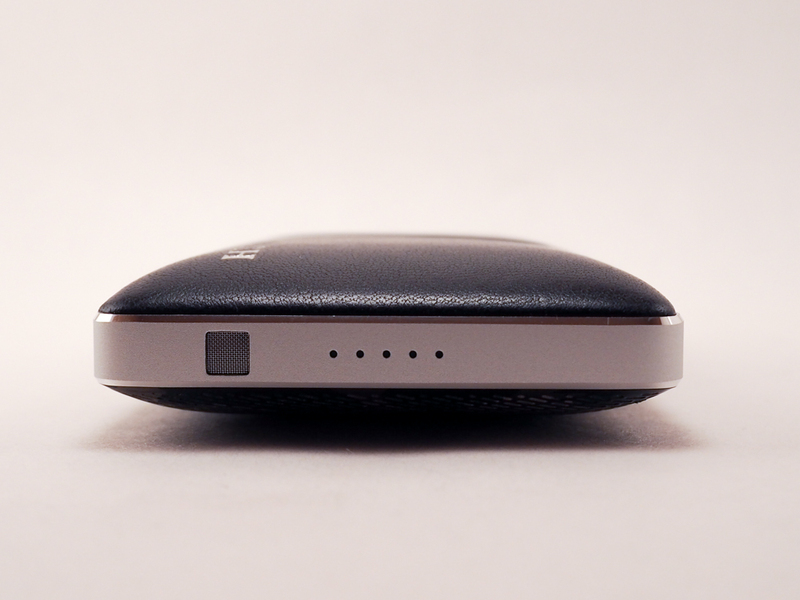 The Esquire Mini is just as loud as any other portable speaker I’ve tried with sounds that are both crisp and clear. It’s loud enough to fill an entire room. It even outputs a decent amount of bass for its size. It’s not deep deep, but it’s deep enough for most music genres. 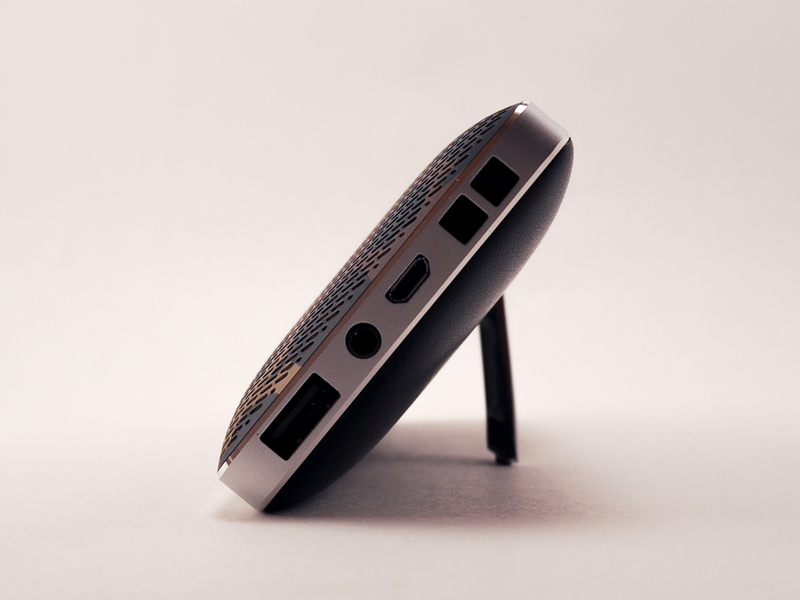 For those who use these speakers while your working, you can also use the Esquire Mini is a speakerphone. 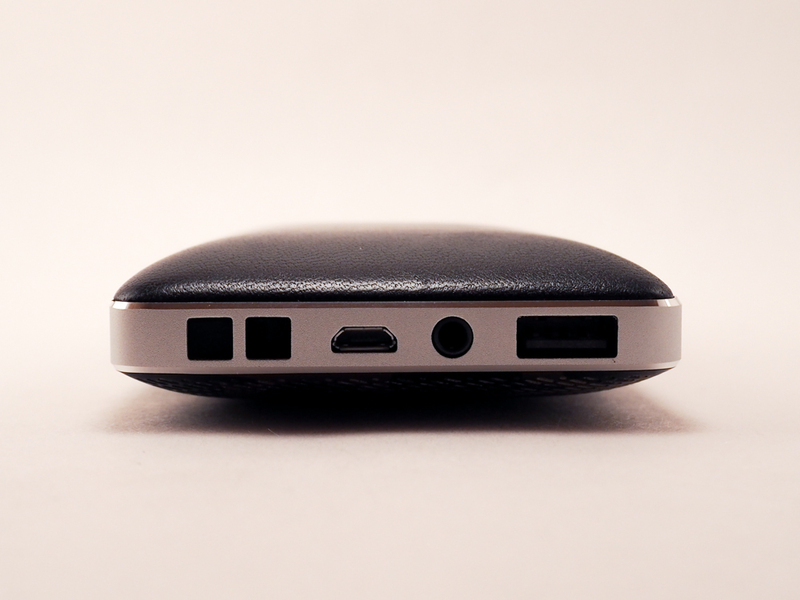 It features dual microphones with built-in echo and noise cancellation technology. 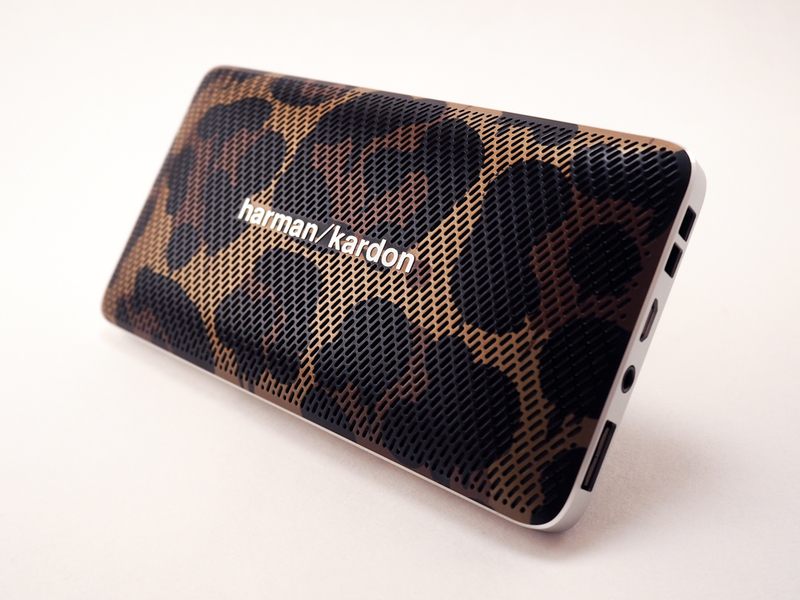 Aside from its usage as a portable speaker and speakerphone, the Harman Kardon Esquire Mini can also be used as a battery charger for your smartphone. If there’s still juice left in its 2000mAh rechargeable battery, you can plug your charging cable into the speaker to charge up your device. That makes the Esquire Mini quite versatile. It’s a feature I’ve only seen in a handful of portable speakers here and there. Since this is a COACH Edition speaker, you would figure it would come with some extras, and you’d be correct. In the box, you’ll find a COACH branded travel bag and leather strap. 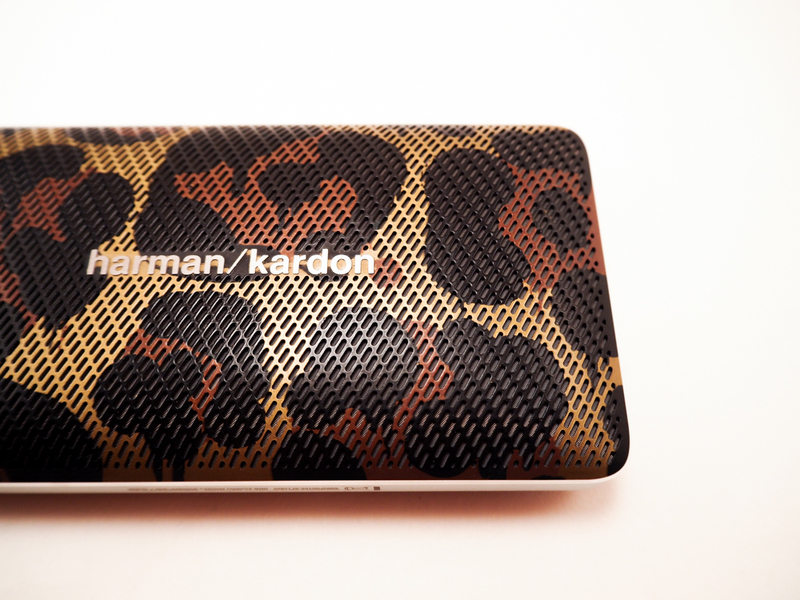 As a portable speaker, the Harman Kardon Esquire Mini COACH Edition is one of the most portable speakers I own. 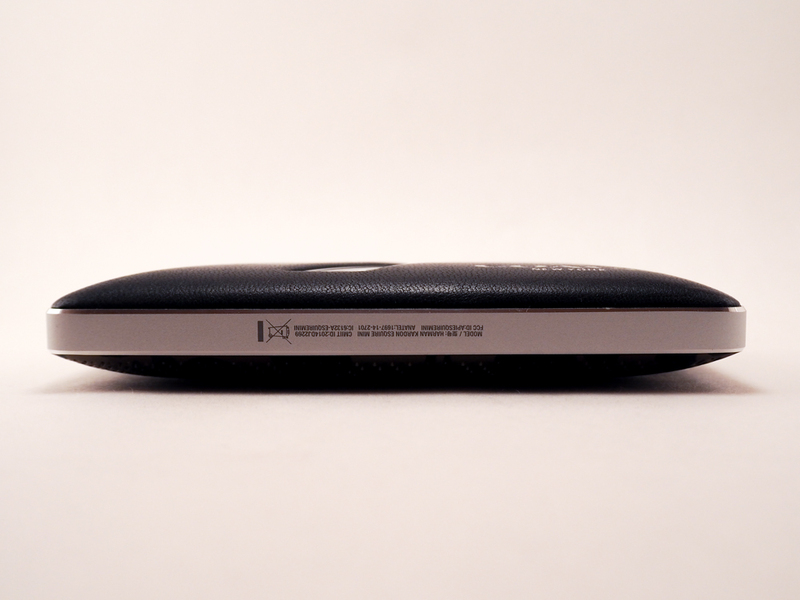 It’s that fact that it’s so thin that makes it more portable than any other speaker I own. 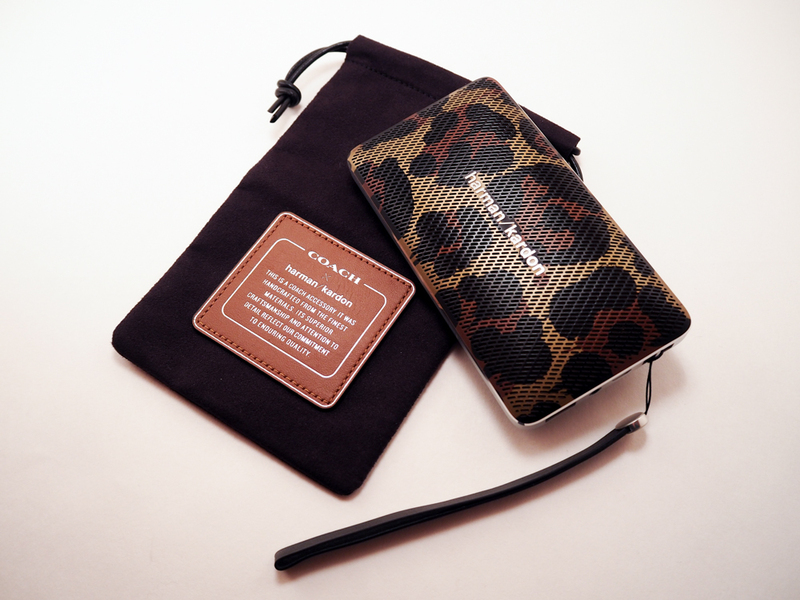 It can easily fit in your back pocket or in a purse or backpack and the small size doesn’t hinder the sound in any way. This is a speaker that not only sounds terrific, but looks terrific as well. At $175.00, it’s about $25 more than the standard Esquire Mini, but what you gain with that is the added name recognition of the name COACH and an exclusive design. If you don’t need that, pick up the regular Esquire Mini.